Guys it's Wednesday and that means that Shwin & Shwin Designs' Glass Onion Top is now available to buy! Want to see some more tester pics? Good. So this is a cool thing that I made from the Glass Onion Top pattern. 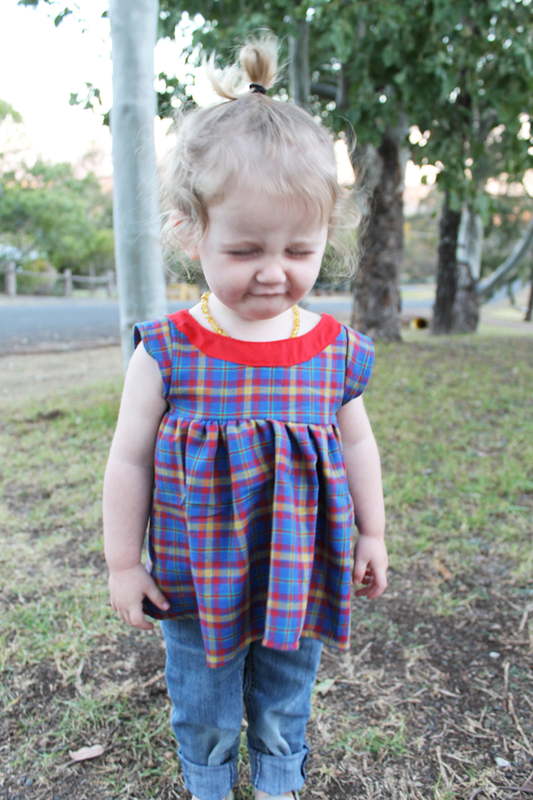 It's a little tartan tunic top with cap sleeves and the regular style back (there is a pleated version also). See something a little different than the last top (apart from the sleeves and the uh fabric!). Yep it has a facing on the outside! I've seen this done a few times, but it really blew my mind when I saw Erin Keith do it here with the facings and the plackets on the outside. I made the facing one centimetre wider on the outside edge, then ironed it under. Instead of sewing it to the outside of the shirt and flipping it inside for a regular facing, I stitched it the inside of the shirt, flipped out (ironed the heck out of it) and then stitched the outer facing edge down too. I really like the effect! In case you're wondering, yes Eddie has an undercut. I need to shave it back in! 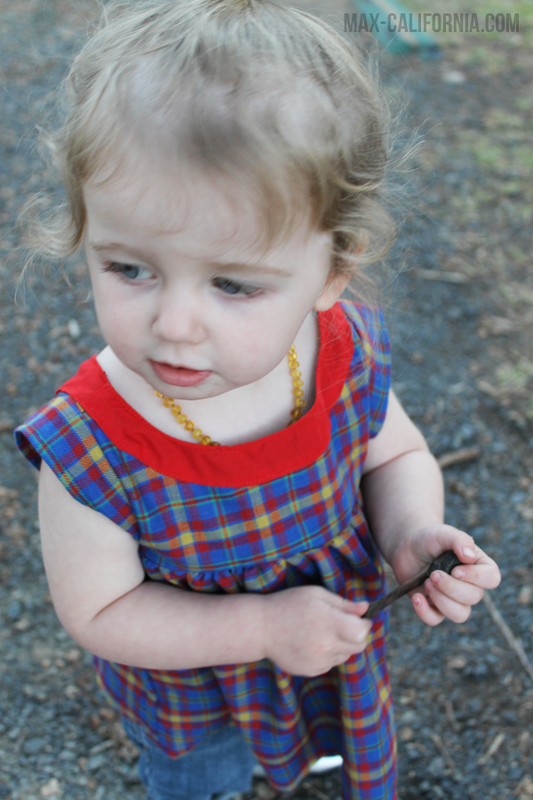 Both fabrics are op-shop scores. 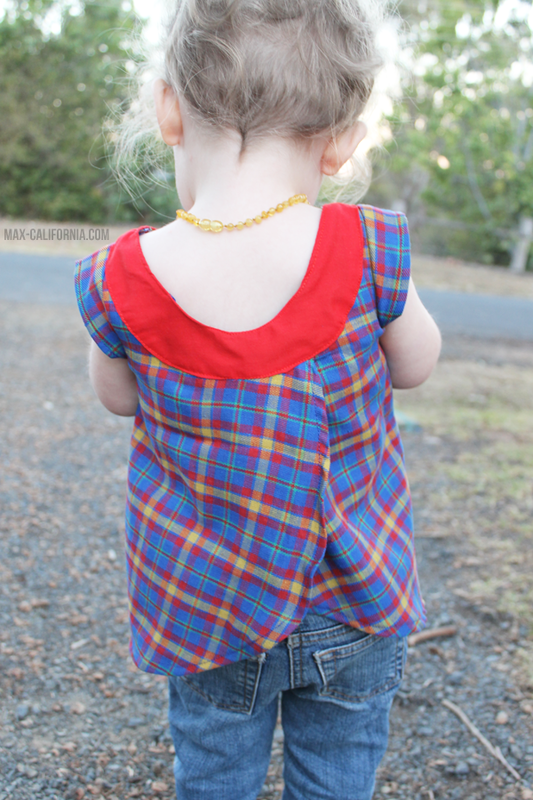 The tartan is a very soft brushed cotton and the red is just a cheap poplin. I have about 4 metres of the poplin which was like $4 (they always have random prices on them, but I think it's generally $1/m)(Yeh, right? who wants to come op-shopping with me!). 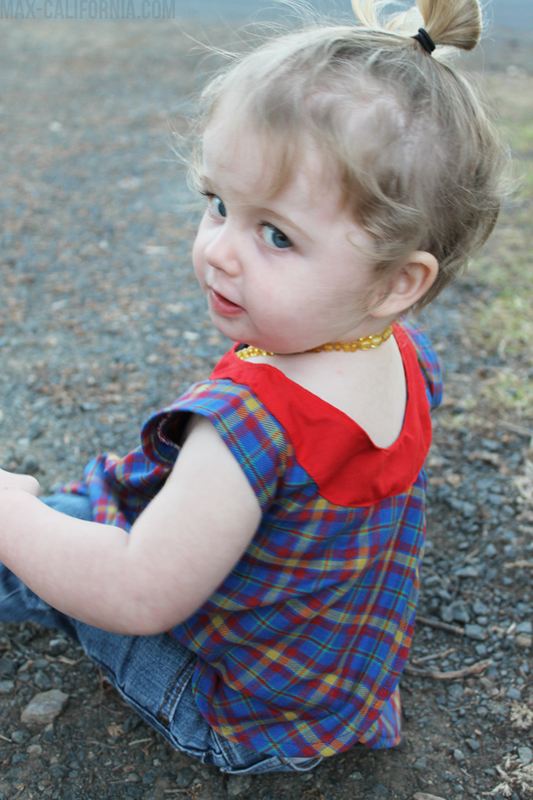 The tartan was about 2m but I didn't use very much of it at all. 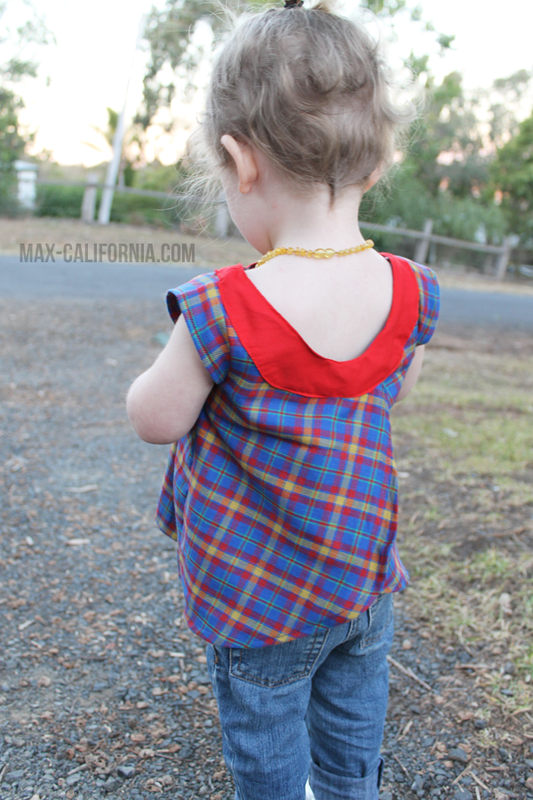 I'd love to make some tartan pants for the kids out of the remnants, how hilarious would a tartan two-piece be for Edison? haha. 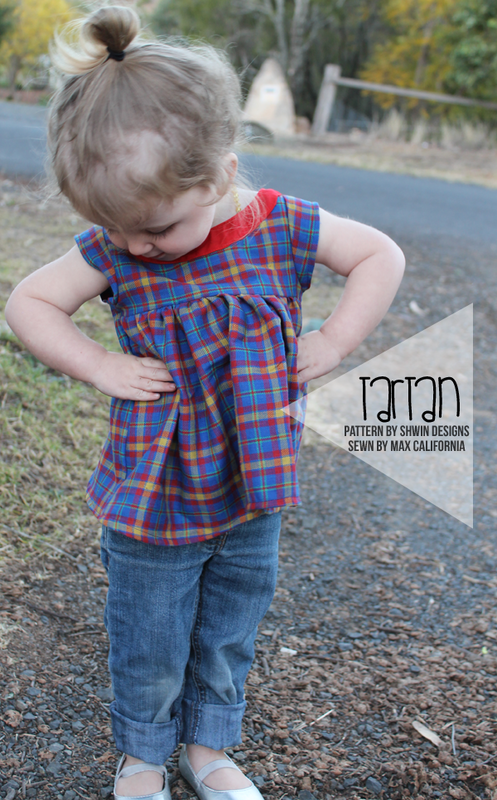 Head over to the Shwins' shop and grab this pattern!